Tolerance settings: 16 Tolerance settings with colour coded PASS/FAIL. 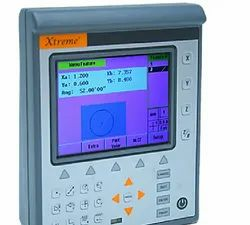 WINDOWS XP BASED SINGLE / DUAL CHANNEL SOFTWARE-HARDWARE CHROMATOGRAPHY DATA PROCESSOR SYSTEMS. 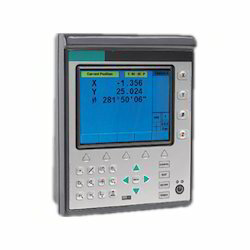 - Data acquisition of all chromatographs for up to 2 Nos. Specification:-Data Processor contains 2 GB memory card. It can store the whole date for minimum 5 years. Member code along with the Member Name. Date, time, shift timings, Automatic and Manual Entry of Collection, FAT, SNF will be stored on the memory card for a single member at the time of collection of milk. ""Cowbell"" data processing unit 600 member accounts with castle type 3 rate formats based on fat fat+snf ts(total solids) rate format and member data can be in put through USB pen drive in excel format morning / evening selection interface to analyzer and weighing scale user display for displaying member code, fat, qty and amount. We are engaged in offering Data Processor (Satnav) to our clients. Data Processor (Satnav) is a global navigation satellite system comprising of network of satellites that transmit ranging signals used for positioning and navigation anywhere around the globe; on land, in the air or at sea. - 4 inbuilt keypad, in addition to a ps2 port provided for connecting a 120 key qwerty keyboard. - Advanced microcontroller based embedded design. We are dealing with Data Processing Unit as per the demand of buyers and their requirements. We are one of the well known companies that offer an extensive array of Data Processing Unit. Our offered range of data processing unit is easy to use, requires less maintenance and offers longer functional life. We are a well-known name, which engaged in offering an ultimate quality of Milk Data Processing Unit, which smooth in finishing and durable in nature.